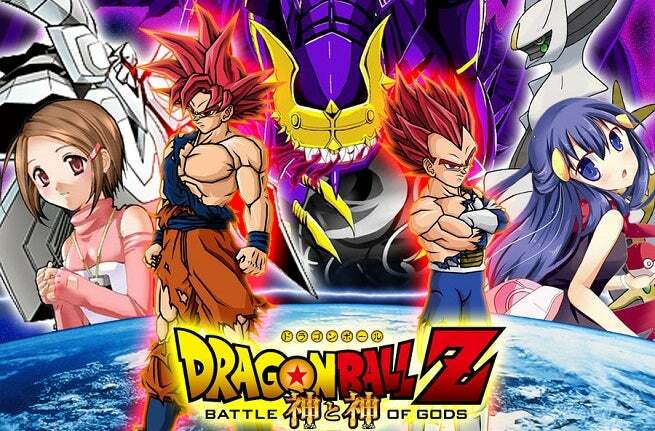 FUNimation Entertainment announced this week that its upcoming, animated feature film Dragon Ball Z : Battle of Gods will be presented at a red carpet premiere at the Regal Los Angeles Live Stadium 14 Theaters on Thursday July 3, 2014. The red carpet will begin at 8:00pm followed by the screening at 9:00pm. On sale dates for nationwide screenings taking place Aug 5, 6, 7 and 9 will be announced soon. Following the events from the internationally renowned animated television series, Dragon Ball Z, after the defeat of Majin Buu, a new power awakens and threatens humanity. Beerus, an ancient and powerful God of Destruction, searches for Goku after hearing rumors of the Saiyan warrior who defeated Frieza. Realizing the threat Beerus poses to their home planet, the Z-fighters must find a way to stop him before it’s too late. Only Goku, humanity’s last hope, can ascend to the level of a legendary Super Saiyan God and stop Beerus from destroying Earth, and possibly the entire universe! Fans of the series will be delighted to know that Battle of Gods is an original work from Dragon Ball creator, himself, Akira Toriyama. You can check out the trailer for the film below.